When I'm at home I use a double edged safety razor to shave. TSA won't let me fly with safety razors, so when I travel I use a Mach 3 razor. My problem is that when I open a package of Mach 3 razors and use them only for my relatively infrequent travels (mostly short business overnights, some longer vacation travel), the whole package is oxidized and dull by the time I make a second trip so I waste most of the package. I've looked for individually packaged razors but have only found cheap disposables in bulk packs of 500. What's a good way to keep travel razors around without them getting dull before they're ever used? I also use a safety razor. Any USA drug store will have 3 or 5 packs of really terrible disposable razors, maybe $1.50 each razor. If you have a heavier beard than I do, you may need more than one for a single decent shave. I've considered flying with an empty safety razor for vacation and buying a pack of blades at my destination, figuring I can use half of them before getting back on a plane. For short trips, I'm blessed with a job in an industry where appearance is ignored and a beard that's gone completely grey and harder to see. Thank you for all the great suggestions. Here's the solution I found that works well for me. 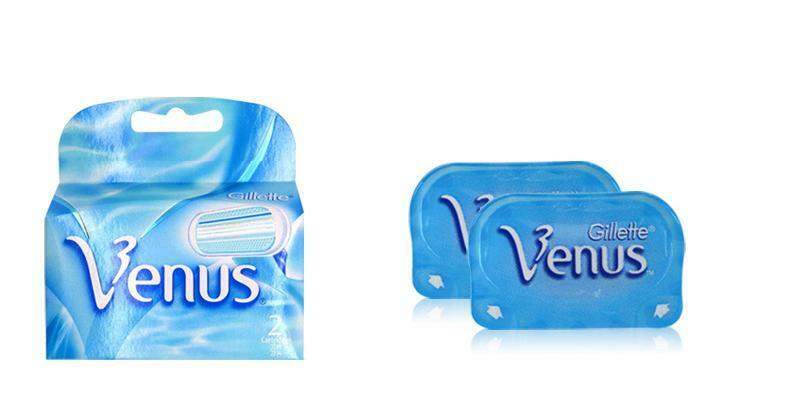 I bought a pack of original Gillette Venus women's razors, which come individually packaged in sets of 4+. They fit the Mach 3 just fine. Whenever I go on a trip I toss one or two in my dopp kit and have the confidence that they will be fresh when I open them. They also have the advantage of taking up less space than a cartridge of Mach 3 razors. Would you consider purchasing a very cheap electic/battery razor, just for travel? Storing them under mineral oil might work. It's a bit messy, but that's what people do in the lab to stop alkali metals oxidising in the air, so it should work for steel blades too. Failing that, keeping it in one of those vacuum food saver things might work. I'm not sure how the moisturising strip on the blade will hold up to any of this though. Moisture causes oxidation. Store your leftover blade cartridges in a sealed, airtight container with a desiccant. Your razor should be 'stropped' back to a degree of sharpness. This promotional video gives a good visual indicator of what I have just described. They will probably last longer in a ziplock bag with a packet of moisture absorbant. Those come often with bags and stuff that is sensitive to moisture which is probably why your blades oxidize. Mine have almost never gone bad (even stored for 6 months or so in a travel pouch) since I live in a relatively dry place. What I suggest though is to just finish the pack. Suppose you travel for 2 weeks with a 5-pack, you will probably use 3 blades during that time and if you continue to use them after you return, the pack would be finished in another week. It's the same thing with those small travel toothpaste tubes, otherwise you end up with a bunch of semi-used expired ones. Not the answer you're looking for? Browse other questions tagged tips-and-tricks hygiene packing or ask your own question. How to Pack for 4 Week Trek?